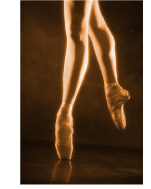 WESTBERRY is a dance studio that offers all levels of training from beginner to advanced. Whether you're interested in ballet, modern, tap, jazz or hip-hop, we offer classes for children 4 years old through 12th grade, in Britton, SD and Ellendale, ND. A sister studio, MJ Dance Studios, operates in Sisseton, SD. There are a number of reasons to dance at our studio, so tour our site or call us today for more information! Shannon began her dance training at the Johnny Cavelle Dance Studio, Aberdeen, and continued her technical and performance training at the University of Iowa. Receiving a Bachelor of Fine Arts in Dance with Highest Honors, Shannon focused on choreography, technical syllabus and ballet and modern performance. She is currently beginning her 24th year of teaching at the Living Art Dance Studio (formerly Johnny Cavelle Dance Studio) in Aberdeen. . She is a member of the Cecchetti Council of America and a certified teacher of the Cecchetti Ballet Grades I-IV. Megan also began her dance training at the Johnny Cavelle Dance Studio in Aberdeen, and graduated from the University of Nebraska with a degree in dance. Megan will be teaching many classes in the Britton studio. Megan is the owner/instructor of our sister studio, MJ Dance, in Sisseton, SD. ©2006 westberry dance studios. All rights reserved.